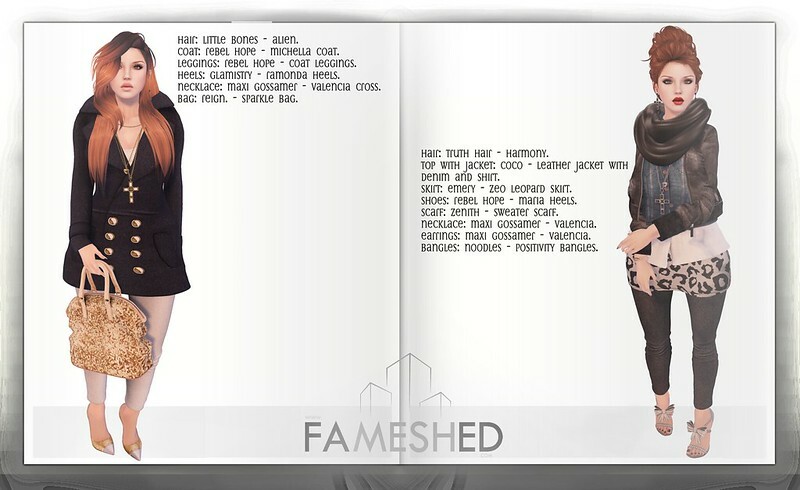 The very first Look Book for Fameshed is now available on the official website, located here. I was lucky enough to be able to participate with my own looks and images. Fameshed manager, Elvi Hartley (who you may also be familiar with from her blog The Imperfect Avatar), put together the wonderful magazine layout with text credits and the Fameshed logo. The Look Book can give you inspiration for outfits, styling, and different ways to wear your Fameshed goodies.